Food policy experts at City University London have welcomed the proposed introduction of a tax on sugary drinks in the United Kingdom. But why are drinks being targeted? What is the scale of the problem? And what evidence is there that sugar taxes work? 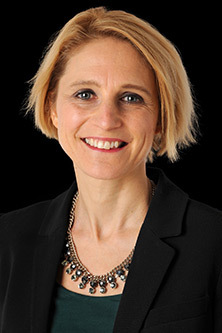 Professor Corinna Hawkes, the new Director of the Centre for Food Policy, recently published the findings of a comprehensive investigation into global consumption of sweetened drinks. Her paper, in The Lancet Diabetes & Endocrinology medical journal, revealed the world’s diet is becoming sweeter, particularly when it comes to beverages. Co-authored by Professor Barry Popkin of the University of North Carolina, the paper also summarised the impact of sugar taxes in several other countries and discussed the evidence on the negative health effects of sweetened foods and drinks. Its findings highlight the problems facing nations of all sizes and show how governments are exploring ways to cut down on sugar consumption. The paper, which uses sales data from Euromonitor International’s Passport database, reveals consumption of sugary drinks is rising fastest in low- and middle-income countries, but is declining in high-income regions. However, the overall fall in richer nations has occurred alongside a rise in consumption of sports and energy drinks. In a list of 54 countries around the world, Chile tops the list for the number of calories in sugar-sweetened beverages sold per person per day. Mexico is second, with the USA now third after dropping from its position as the world’s largest consumer over the last 15 years. In Europe, Germany consumes the most sugar-sweetened drinks per person and is sixth worldwide – ahead of the UK (29th), France (34th) and Italy (37th). As reported in the Daily Mail, Britons are drinking three times as many energy and sports drinks as they did 15 years ago, according to Professor Hawkes’ research. Her study shows that UK consumption of all sugar-sweetened drinks increased slightly from 144ml per person per day in 2000 to 156ml in 2005, but then fell to 146ml in 2014. However, consumption of sports and energy drinks rose in the same period from 8ml per person per day to 28ml. Overall, the analysis reveals that the four regions across the world with the highest intake of sugar-sweetened beverages are North America, Latin America, Australasia and western Europe. Consumption is rising steeply in low-income and middle income countries, in Latin America, the Caribbean, Africa, the Middle East, Asia and Oceania, where action is “urgently needed”. “Our research shows the rest of the world is catching up with US levels of sugar consumption," explains Professor Hawkes. "The good news is that many countries are putting policies into place to reduce sugar intake, especially from sugary drinks. The bad news is that there is not nearly enough action." Why are drinks being targeted? 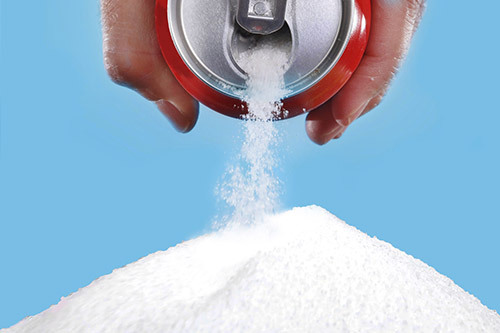 The research paper brings together evidence on the negative effects that sugary drinks can have on health, confirming their association with problems such as weight gain and diabetes. However, the researchers explain there is a lack of consensus on the health effects of 100 per cent fruit juices and beverages with low-calorie sweeteners. Their paper states that the past 25 years have seen a revolution in our understanding of the effect of caloric sweeteners, including sugar, on energy intake, obesity and diabetes. However, the researchers say the evidence relating to the effects of added sugar in foods is not as clear as the evidence for added sugar in drinks. In the past three years, two major studies of the effect of added sugars in food show that the risk of adverse cardiometabolic outcomes, for example diabetes, heart disease or stroke, from caloric sweeteners in food is lower than the risk of caloric sweeteners in beverages. Therefore, the researchers argue that the first policy priority should be to reduce the intake of these drinks. The World Health Organisation (WHO) recommends that people should reduce their consumption of added sugar, in both food and drinks, and ensure it does not account for more than 10 per cent of their total daily energy intake. Do taxes on food and drinks work? 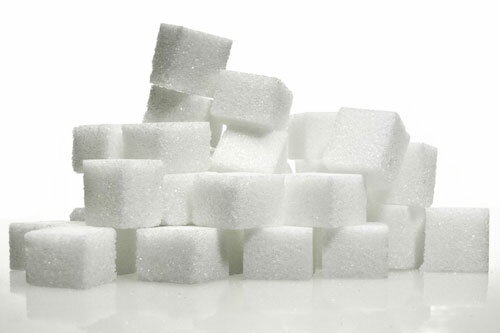 The researchers conclude that governments are making progress in cutting sugar consumption but more measures must be introduced. They report that the intake of sugar-sweetened beverages appears to be decreasing in countries where taxes have been implemented. For example, a study in Mexico showed there was an average decline of 6 per cent in purchases of taxed beverages after the tax was introduced in 2014. By December that year, this had reached 12 per cent. In France, a sugar tax led to a price increase for taxed products of around 5 per cent, with Euromonitor data showing a small effect on sales and the WHO also reporting a 3.3 per cent reduction in sales. In Hungary, one analysis showed there had been a 3.4 per cent decrease in purchases of processed foods and a 1.1 per cent increase in purchases of unprocessed food after the tax was introduced. Other reports suggested a much larger decline of 27 per cent in sales of taxed foods and extensive reformulation of food products. A decline was also seen in Professor Hawkes’ analysis. In Chile, a continued increase in consumption was seen up until the time the tax was implemented. A new evaluation is taking place in 2016. What could happen if nothing is done? Professor Hawkes states that 74 per cent of products in the US food supply contain caloric or low-calorie sweeteners, or both. She and Professor Popkin believe that in the absence of intervention, the rest of the world will move towards this pervasiveness of added sugars in the food supply. According to the researchers, most high-income countries will follow the pattern of the US over the next few decades. They explain that action is needed to tackle the continuing growth in sales of sugary drinks worldwide, although many governments have initiated actions to reduce consumption of sugar-sweetened beverages in the past few years. Measures include reduction of availability in schools, restrictions on marketing of sugary foods to children, public awareness campaigns and positive and negative front-of-pack labelling. According to Professor Hawkes, governments are moving in the right direction, but they should view the measures taken so far as part of a learning process and improve their design over time. The Centre for Food Policy was founded by Professor Tim Lang in 1994 and moved to City in 2002. It is now part of the Department of Sociology at the University. Professor Hawkes became Director of the Centre in April 2016. Professor Lang continues to research and educate at the Centre.